Owning business eats a lot of your time, especially if you are a sole proprietor. 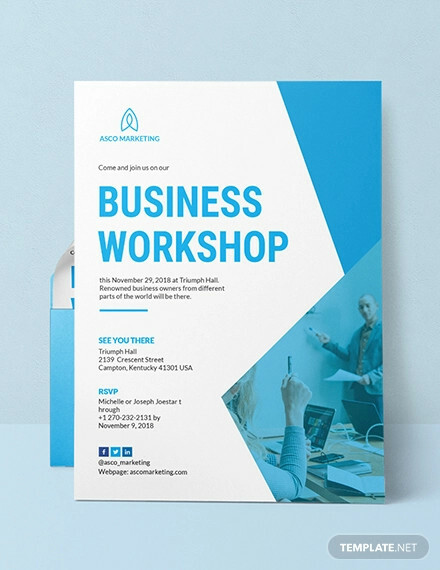 You have to take care of things from filing of business permits down to creating business invitations or business cards. You have to be both practical and artistic at the same time. 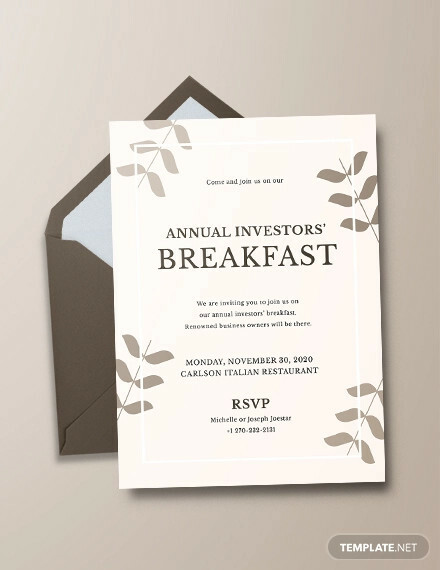 Either the business budget or the quality of your invitations should not be compromised. 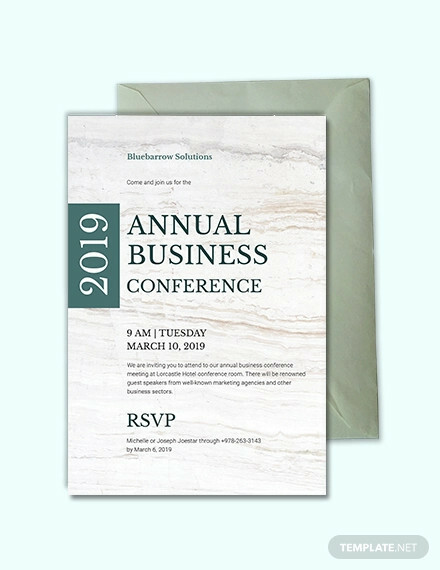 Since we have started talking about business invitations designs we have provided below some samples of what it should look like. We will not stop with that though, we will also be providing some important tips to remember in creating one. So, keep scrolling down and be dazzled. 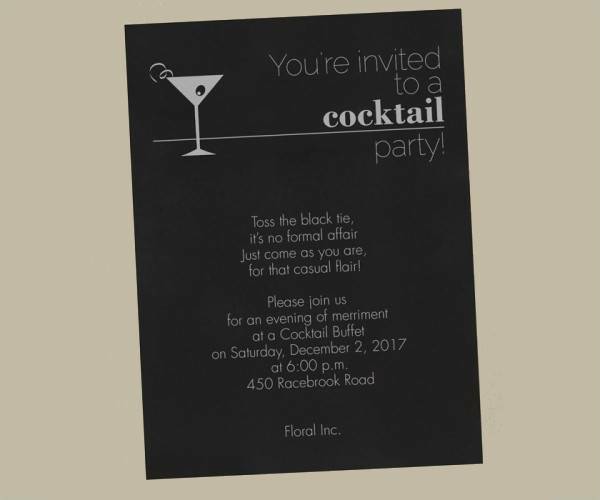 What Is a Business Invitation? 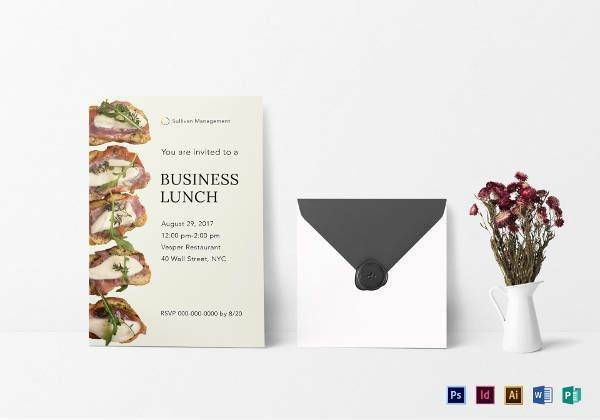 A business invitation can come in different forms. It can be formal or informal. It may be through a phone call, an email, or a formal letter. 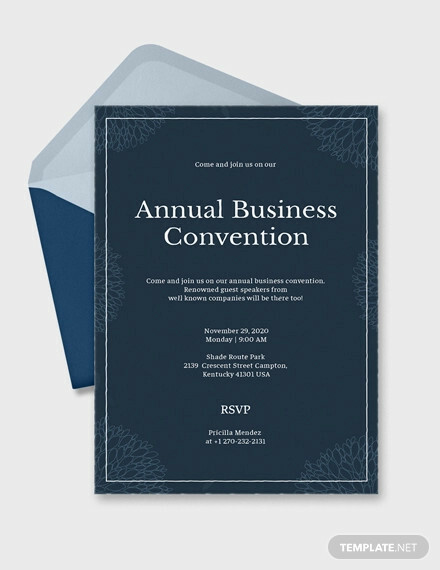 Larger or formal business events require an invitation letter. Why? Because we are talking about business here. If you want big clients to invest in your business, you don’t want to invite them over via telephone, do you? You need to impress them. Well, writing a letter would do the job for you. 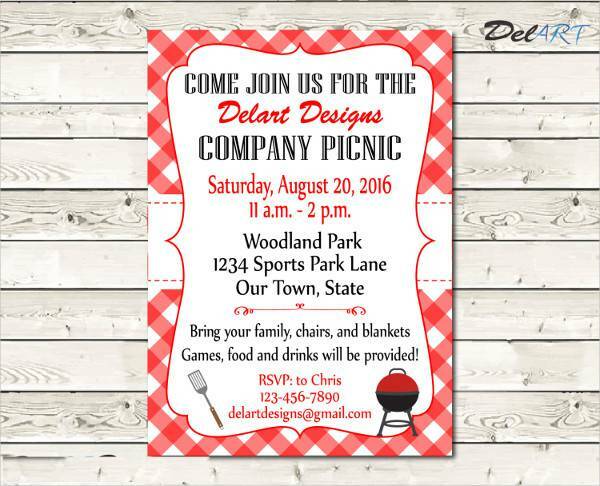 As a part of a company’s marketing plan, events or gatherings are essential. Formal company occasions could be held to invite investors for a project proposal, to host a business meeting among the board members, or to gather employees for a small celebration of success. It can contribute to a company’s growth and progress and may event boost employee’s morale.event boost employee’s morale. 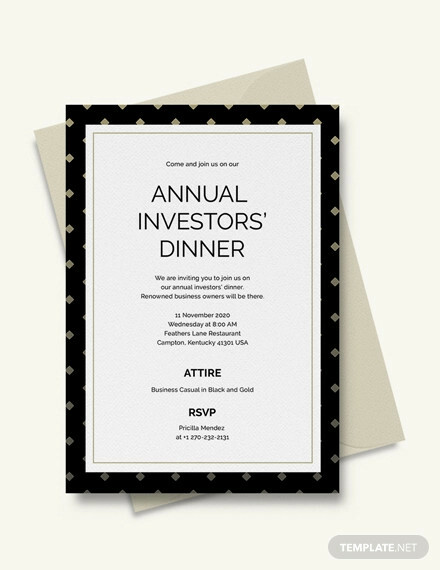 Writing a business lunch invitation may be of less importance to some because it is too traditional and expensive, but if you are working in the best interests of your company, you may want to think twice.traditional and expensive, but if you are working in the best interests of your company, you may want to think twice. 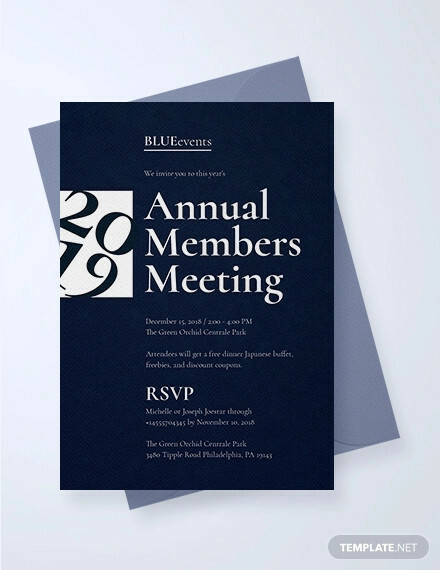 Why Is a Business Invitation Important? In the dawn of the digital technology, writing an baby shower invitation has become a thing of the past. It requires a lot of effort, money and maybe even time. People nowadays are tired and want to be practical when dealing with things. Being practical is good. But when used to compromise the quality of something, then that is the time it becomes unreasonable practicality. 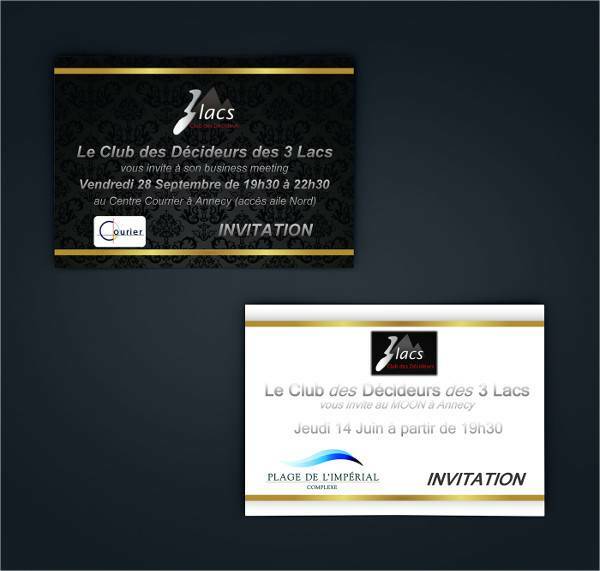 An event invitation that is of best quality can give an good impression to your guests. As we all know, first impression lasts.best quality can give an good impression to your guests. As we all know, first impression lasts..best quality can give an good impression to your guests. As we all know, first impression lasts.best quality can give an good impression to your guests. As we all know, first impression lasts..best quality can give an good impression to your guests. As we all know, first impression lasts..best quality can give an good impression to your guests. As we all know, first impression lasts. In the business world, impression is an essential part specially when you want to be on top. When hosting an event, you always want to put your best effort so that it leaves a mark and be remembered.impression is an essential part specially when you want to be on top. When hosting an event, you always want to put your best effort so that it leaves a mark and be remembered..impression is an essential part specially when you want to be on top. 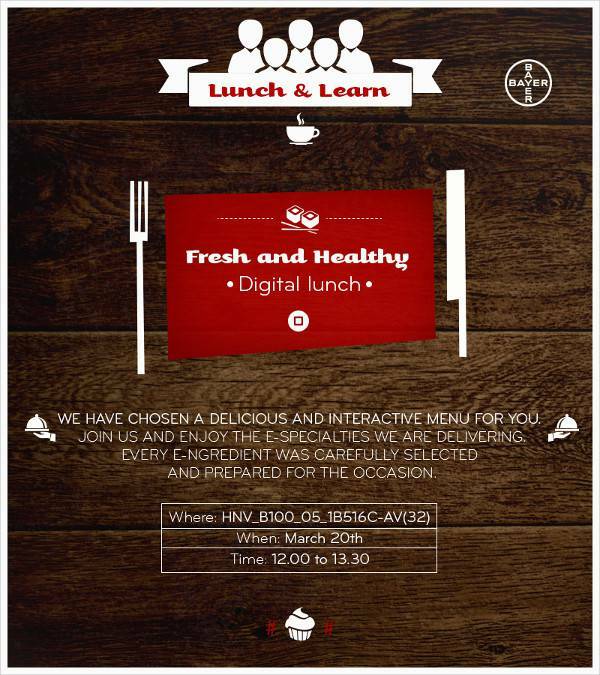 You may also see invitation email examples & samples. When hosting an event, you always want to put your best effort so that it leaves a mark and be remembered.impression is an essential part specially when you want to be on top. When hosting an event, you always want to put your best effort so that it leaves a mark and be remembered..impression is an essential part specially when you want to be on top. When hosting an event, you always want to put your best effort so that it leaves a mark and be remembered..impression is an essential part specially when you want to be on top. When hosting an event, you always want to put your best effort so that it leaves a mark and be remembered. 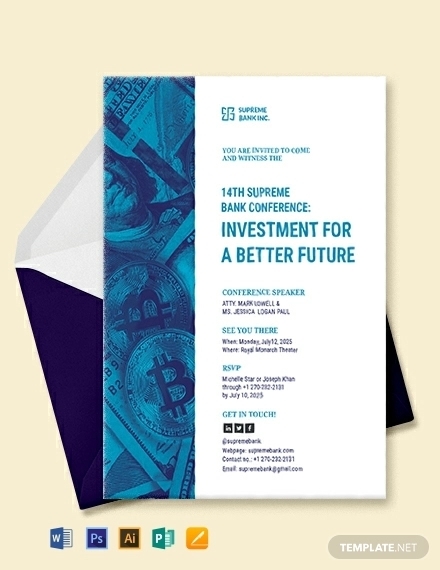 You may also like invitation flyer designs & examples. 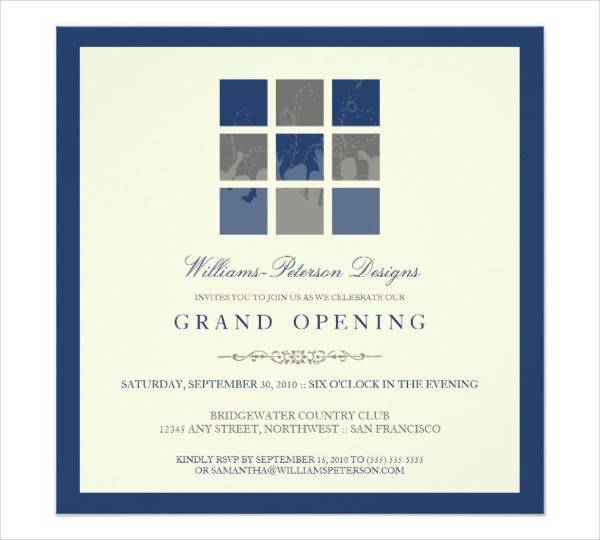 A wedding invitation could be your way to put a maximum level excitement and your guests will be looking forward to come to your event. For sure they will be marking their calendars and put up a special mark on their event planners. 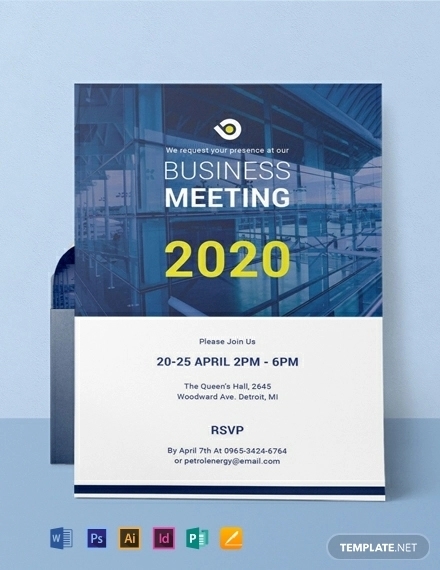 If you are holding a competitive marketing gathering among business owners and suppliers, creating a impressive business invitation could increase the number of guests.a impressive business invitation could increase the number of guests.a impressive business invitation could increase the number of guests.a impressive business invitation could increase the number of guests. 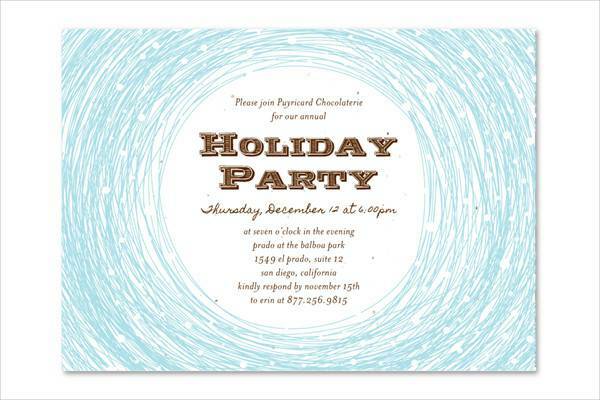 You may also check out holiday invitation examples. 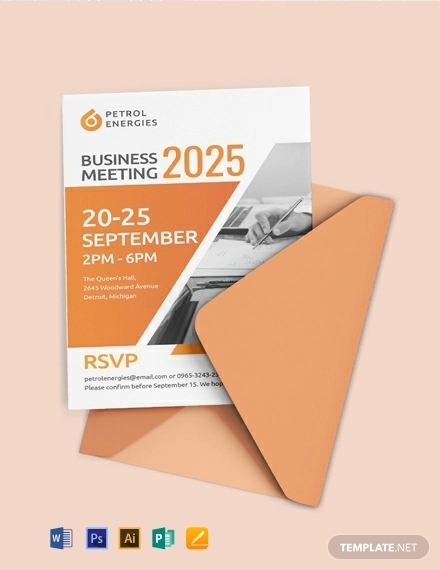 Whether you are hosting a small or large business event, make sure to include these steps when creating a business invitation. When addressing your guests, make sure to use the appropriate language. Also, limit your words to the occasion. Avoid using lengthy phrases and words. Your guests are professional and they don’t want to spend the whole time reading a novel-long invitation. Make it brief and concise. 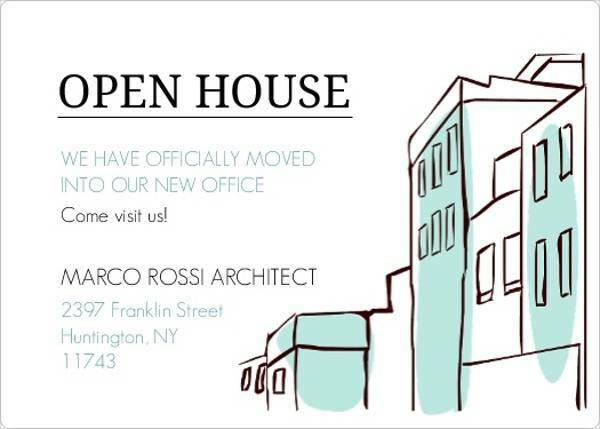 You may also see open house invitation designs and examples. 2. 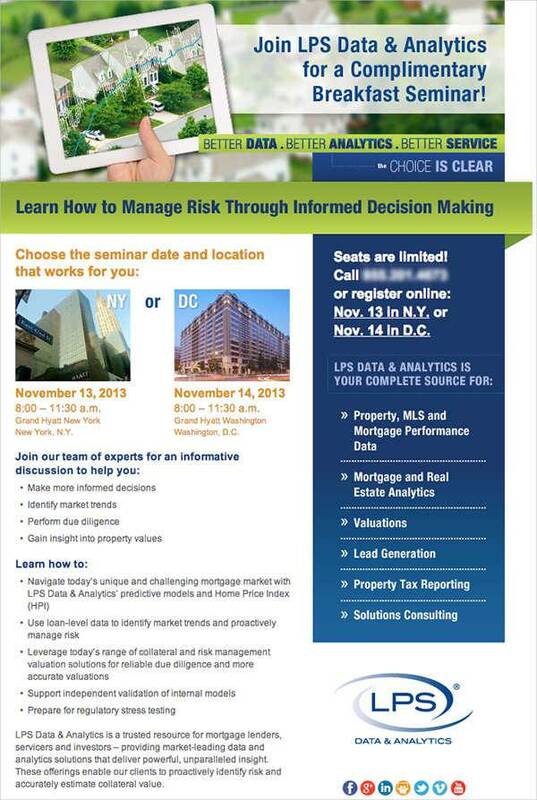 Don’t Miss Out on Details. Never ever let your guests guess. 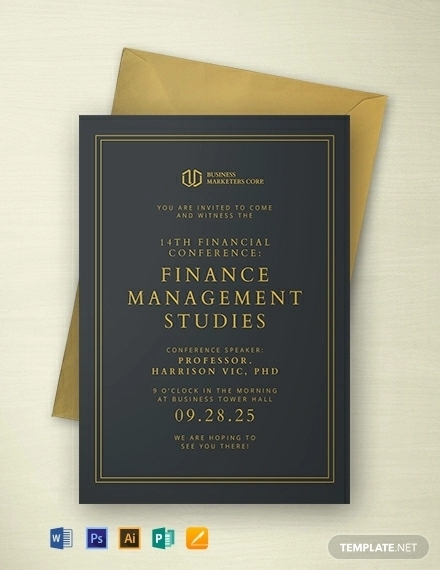 An graduation invitation is a prelude of what your event should be. So make sure to include all the necessary information. Mention the date and time, the place, and the content of the event. Be keen on the details. 3. Always Do Spell Check. Always remember that some people are sensitive when it comes to their names. When writing the names of your guests, make sure their spellings are correct. If you have international guests coming, be very careful. If you are not familiar or unsure about the names of your guests, don’t hesitate to ask. It pays to know. 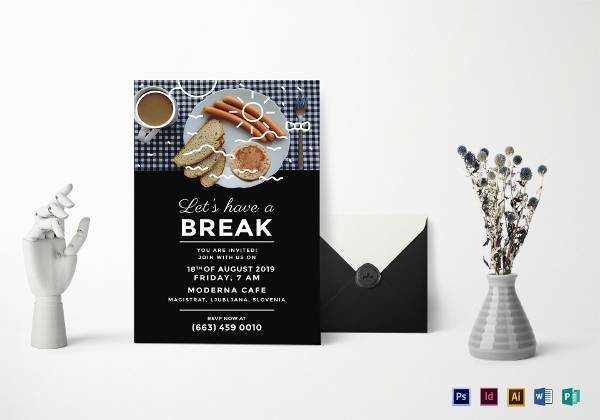 You may also see breakfast invitation designs and examples. 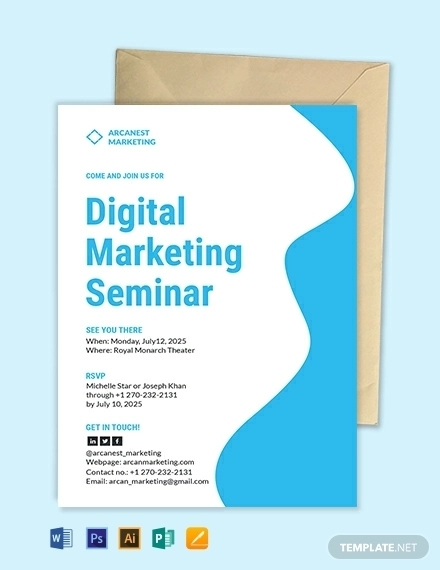 The reason why you are making a business event invitation is because you are preparing for the event. In the same way you have to make sure your guests come prepared. Make sure to send the invitations ahead of time so they can check on their schedules and make an ample time to plan on what to do and what to wear. 5–7 months for out-of-town business meetings. 2–3 months for business proposals. 1–2 months for in-company events. 2–4 weeks for lunch or dinner gatherings. 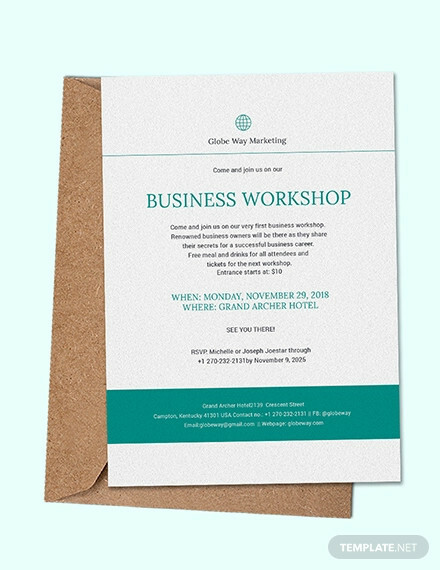 A business event invitation should be well-prepared and organized. 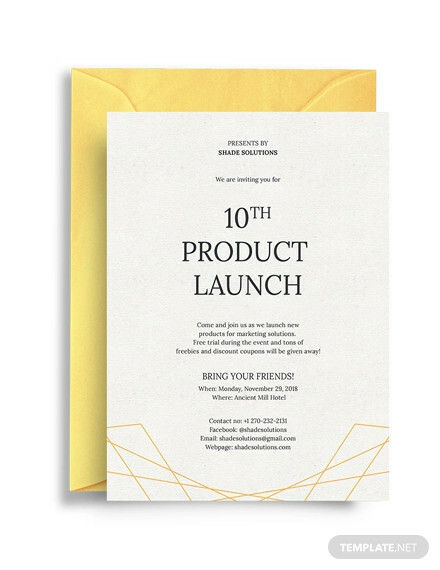 And one thing to consider is the invitation design. 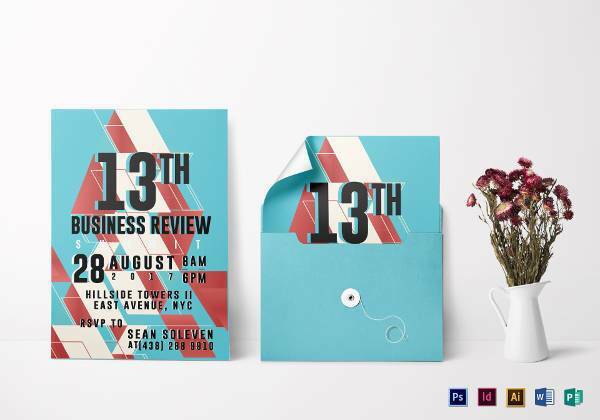 A beautiful and creative invitation is an indication that time and effort was dedicated to it. This is also a way to spark curiosity among your guests of what your event will be like. In addition to that, using an invitation envelope is also highly suggested. 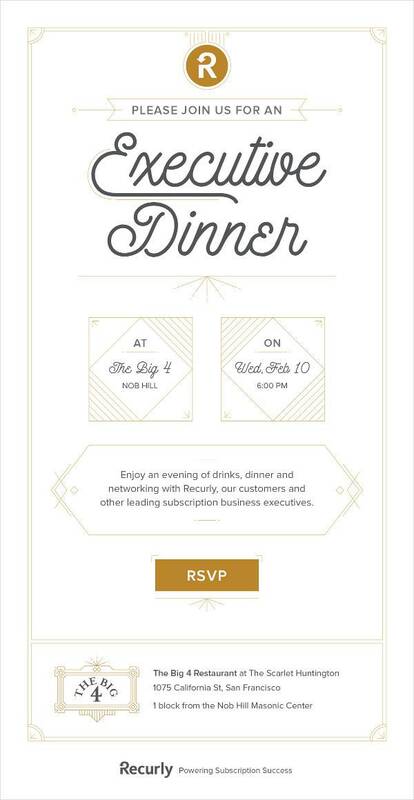 This adds to the formality of your invitation. 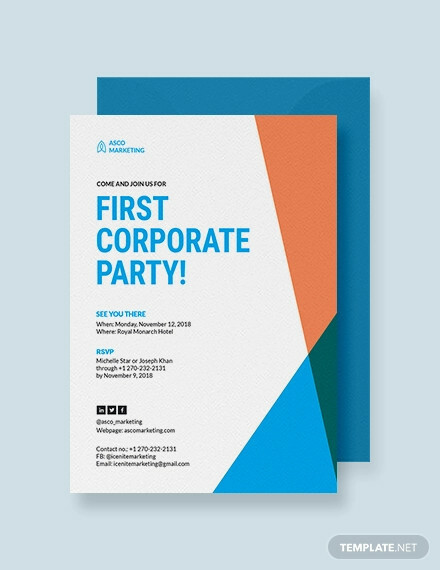 When creating an effective business party invitation, you need to consider it structure and its designs. 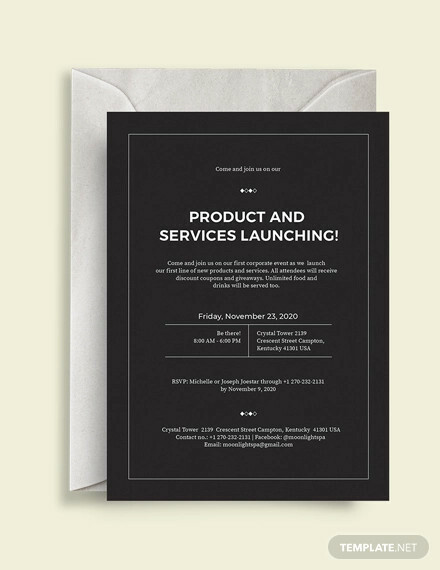 To create a good business invitation, use a structure. Company business logo or symbol. You can use it as a background or place it at the top. 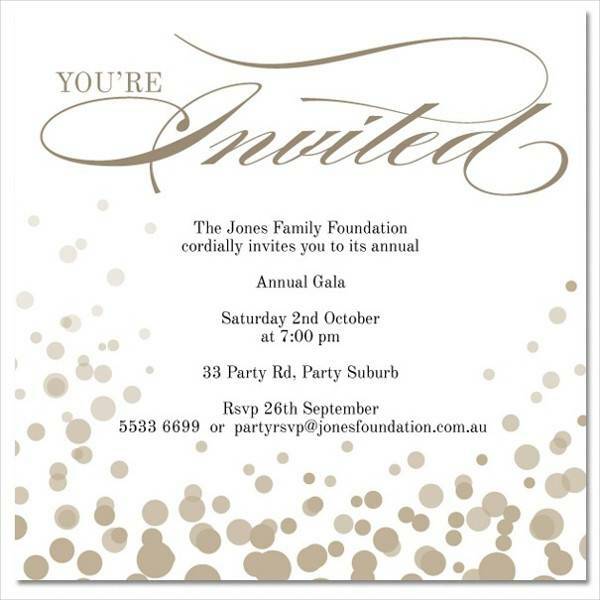 Invitation phrase. Always use polite words. E.g. 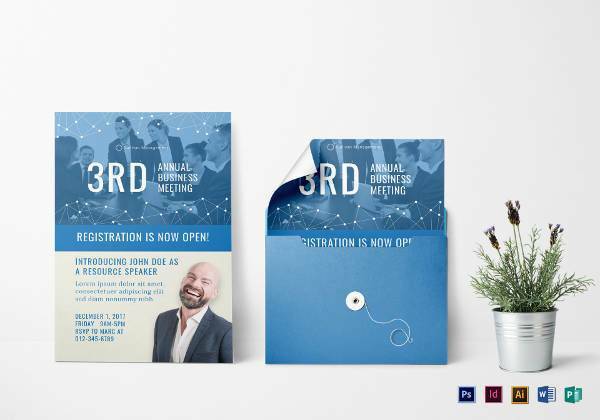 “You are cordially invited”, “Your presence is appreciated”, “You are invited…” You may also see printable event invitation designs and examples. Event theme. Never forget to include this so that your guest will know the purpose of the event. E.g. Annual Company Employee Recognition, Quarterly Business Meeting. Date and time. Spell out the date and time. E.g. Thursday, the twenty-third of May at seven o’clock in the evening or Thursday, 23rd of May, at 7:00 P.M.
Place. The address is important so your guests know where to go. Always be specific and if the place is unfamiliar, include a map or put a direction. RSVP. This stands for a French phrase, “répondez, s’il vous plaît,” which mean “please reply.” This is so you know if the person you are sending the birthday invitation accepts or declines. This is usually placed at the bottom of the page. Other special notes. If you are requiring a specific attire or other instructions, you can place it at the bottom just right above the RSVP. 2. Use an Appropriate Font. 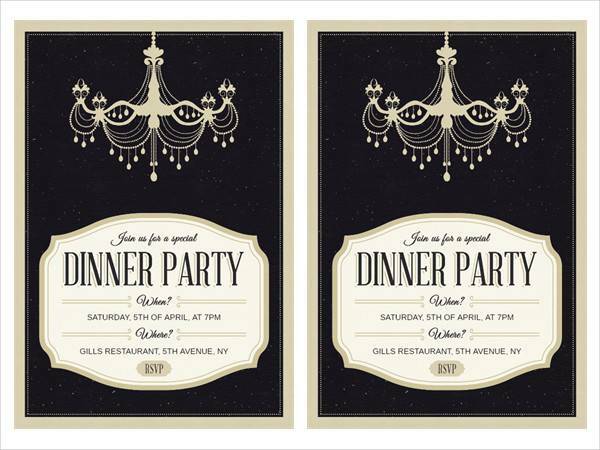 Using a readable font that best suits your event will add more flavor to your event invitation. 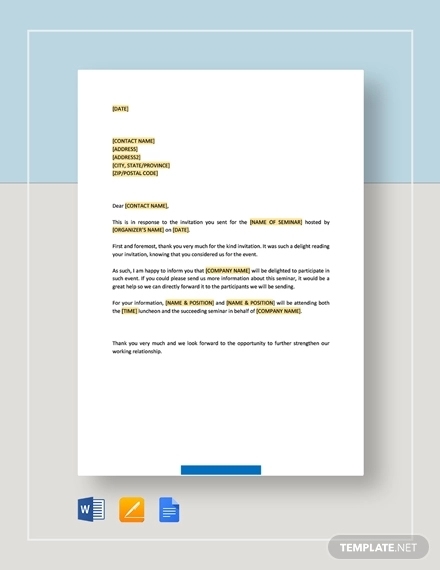 You can use font styles like Impact, Garamond, Rockwell, Baskerville, and Bodoni. What else could be more elegant than using a special paper? In any business bridal shower invitation, presentation is always the key to win your guests’ attention. Try using scented or laser-cut papers. 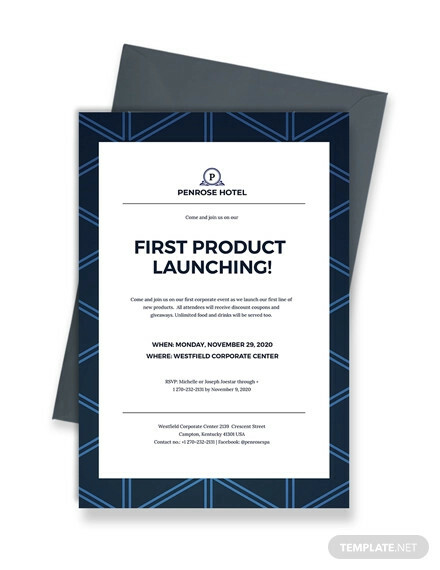 Holding a business event can be critical to a company’s growth. So make sure to leave a good impression and don’t settle for less.